There’s a local gift shop just up the road from our house called CommuniGraphics that specializes in signs, custom t-shirts, and gifts like collegiate merchandise, the Vera Bradley and Spartina collections, and more. 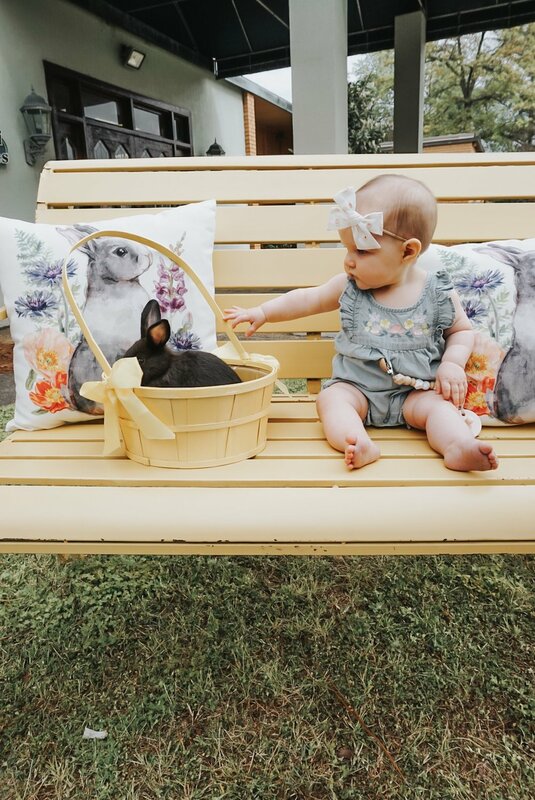 For the past few years they’ve had Easter bunnies that you can visit for a photo op. 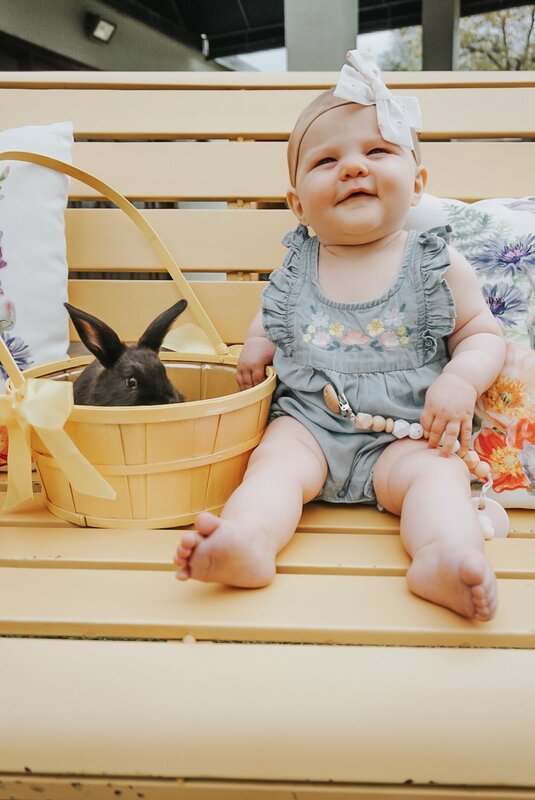 I decided it might be fun to take Rooney for some Easter themed photos. 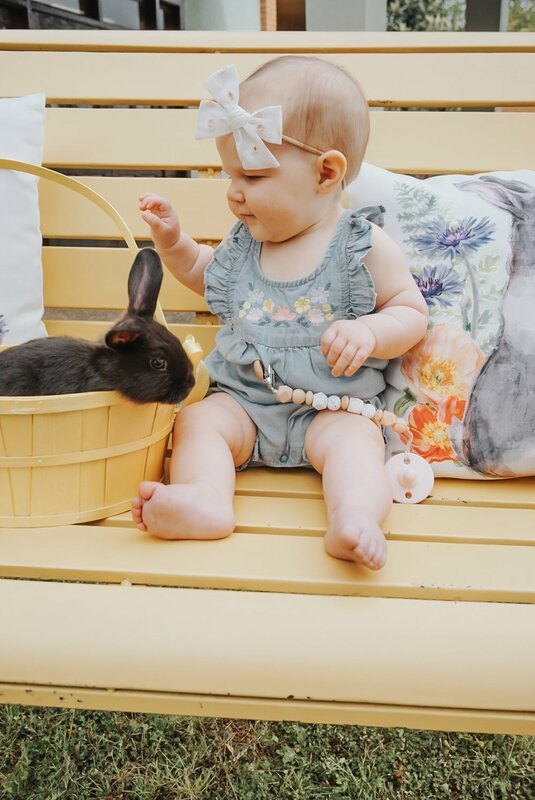 She loves her furry friends at home and I could hardly wait to see her interact with a rabbit! Luckily the rain held off and my younger sister was able to help me with Rooney so I could snap a few pics. 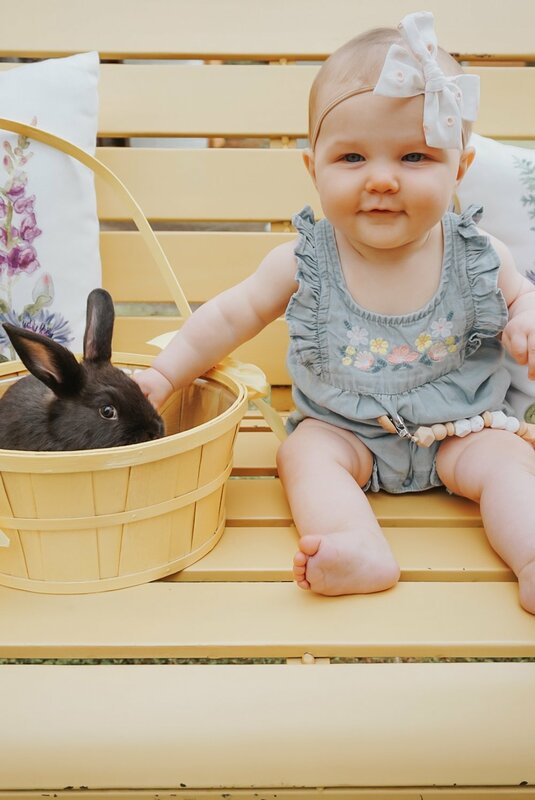 I haven’t talked much about our little one’s personality much on my blog but she is so active. That is my nice way of saying she’s a complete wiggle worm that refuses to be held and is always frustrated that she cannot actually walk yet. 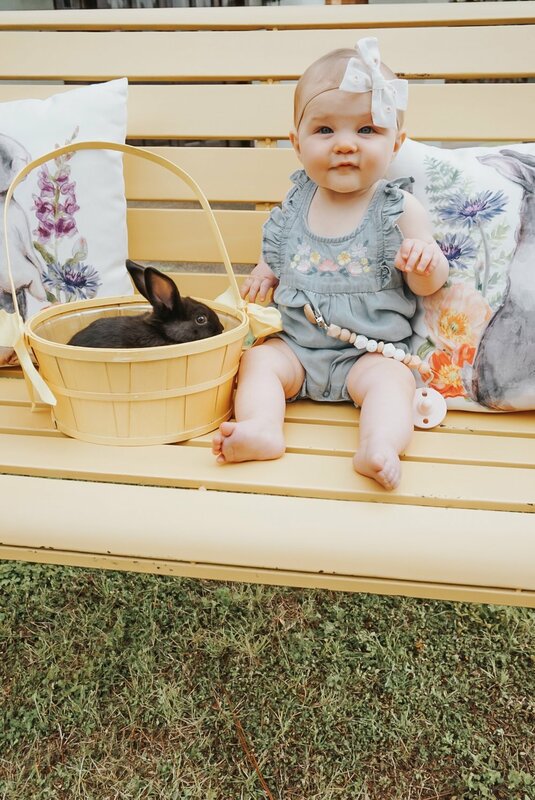 I was blown away at how long she sat still on the bench with the rabbit next to her. Auntie Corey only had to intervene once when Rooney lunged to pick up her new furry friend! I got the sweetest little pictures of my baby girl in her ruffled bubble from GiGi. 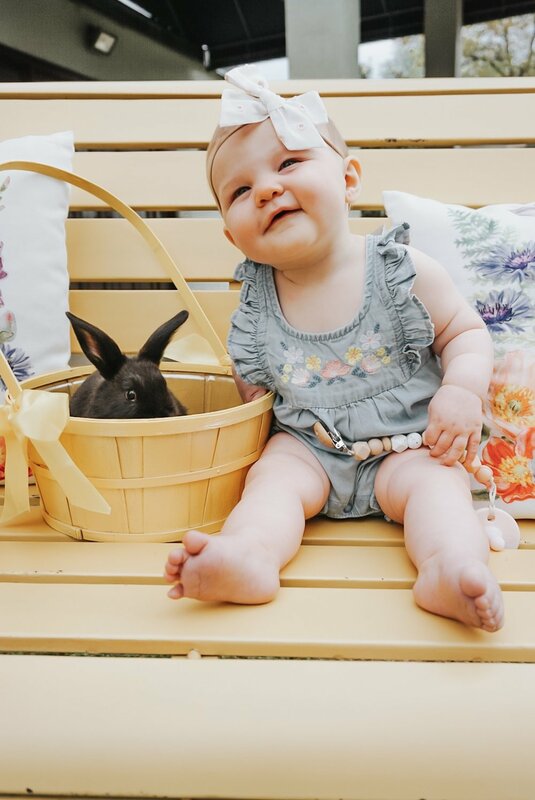 I will cherish these photos forever and visiting the Easter Bunny at CommuniGraphics each spring might be a new tradition for our family.